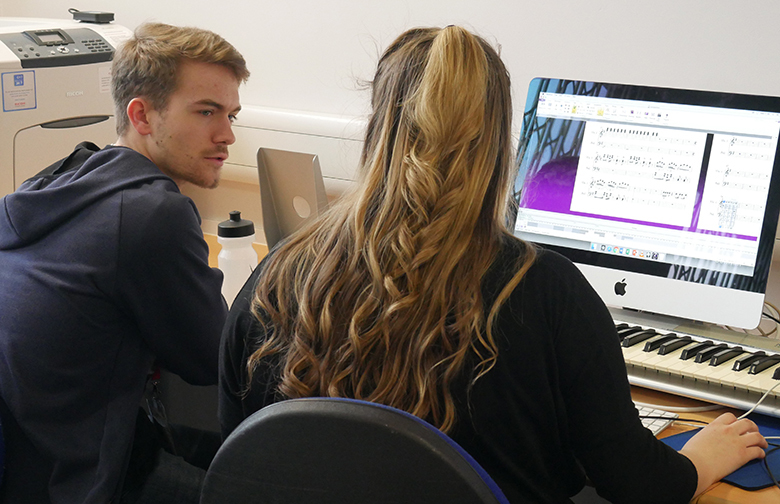 Music students at The Sixth Form College, Solihull have been benefiting from mentoring by students from the Royal Birmingham Conservatoire this term. 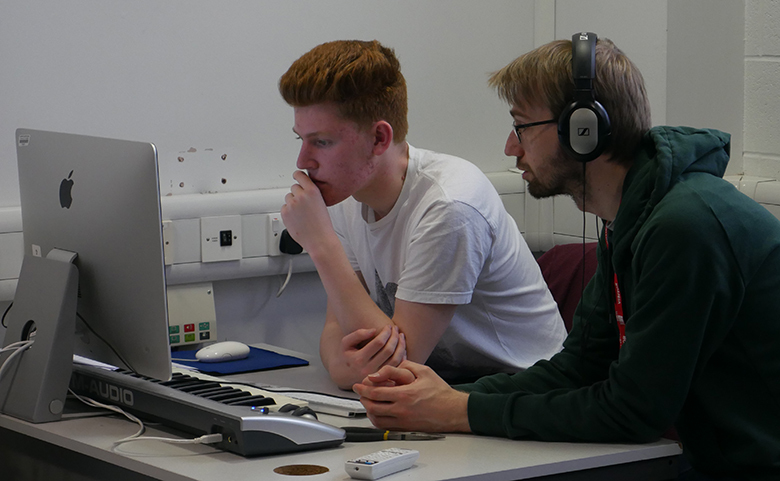 Two undergraduate students from the Royal Birmingham Conservatoire – Joseph and Maarten – visited the College to work with first year A level Music students. The students have been tasked with creating their own compositions and in a workshop the Conservatoire students listened to the work our students have done so far and offered a constructive critique. This included comments on what they enjoyed about the compositions and suggestions for how they could be improved. Music students will be performing at the Easter Concert later this month. Taking place on Wednesday 10 April at 7.00pm, this concert is free of charge and tickets are available by telephoning 0121 704 2581 or emailing Marketing.